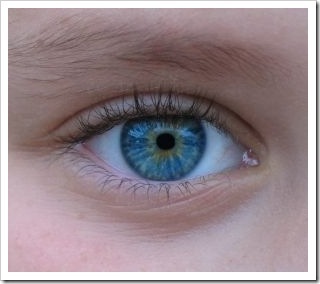 How All-laser Bladeless LASIK is performed? All-laser LASIK is 100% blade-free LASIK procedure. In All-laser LASIK, your surgeon will use a femtosecond laser technology to create the corneal flap, the critical first step in the LASIK procedure. But How Does a Femtosecond Laser Create a LASIK Flap? Let’s find out by discussing how All-laser bladeless LASIK is performed step by step. All-laser Bladeless LASIK is an outpatient refractive surgery procedure. It is done under local anesthesia in a surgeon's office or a same-day surgery center. It is performed while you are awake, but sometimes you may be given a mild sedative such as Valium to make you relax. Usually both eyes are operated on at the same time, but if you prefer, it can be done one eye at a time. A few minutes before the LASIK procedure, a number of eye drops will be placed in your eye. These eye drops will numb your eye and prevent infection. A special solution, betadine, is used to clean around your eyes. A sterile adhesive drape is used to isolate the eye surface from the eyelids and surrounding face, as well as retract the lid margins. A small holding device is placed between your eyelids to keep your eyelids wide open and prevent you from blinking during the procedure. Unlike the conventional LASIK procedure, the IntraLASIK technique creates the corneal flap by applying tiny fast pulses of infrared laser light, not a microkeratome with a metal blade. Each pulse of light passes throughout the top layers of the cornea and forms a microscopic bubble at precise depth and position within your cornea that is determined by your surgeon. As femtosecond laser moves back and forth across your eye, a uniform layer of these bubbles is created just below the corneal surface. Your surgeon creates your LASIK flap by gently separating the tissue where the bubbles where formed. 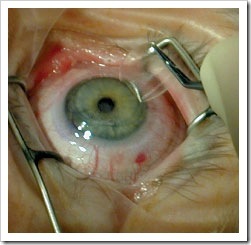 The corneal flap is then folded back so the surgeon can perform the second step of your vision corrective treatment. The creation of the corneal flap prepares your eye for the second step of the LASIK procedure, where another laser known as excimer laser is used on the inner cornea to correct your vision. In a series of short pulses, the excimer laser will reshape your cornea by removing some tissue from the middle layer of the cornea. A computer controls the amount of laser energy delivered to your eye according to your refractive error. After completion of the laser ablation process, your surgeon will replace the flap back into its original position. The flap acts as a natural bandage over the treated area, promoting rapid recovery. You should expect some very common symptoms after LASIK such as burning and tearing, slight foreign body sensation, light sensitivity, and discomfort. These symptoms should improve with few days after the LASIK procedure. You may be able resume your usual activities the next day, but I recommend a couple of days of rest instead. You should follow your doctor’s instructions after LASIK eye surgery. You should contact your doctor immediately, if your symptoms get worse or if you suspect a problem. Now let’s watch a video of All-laser Bladeless LASIK to fully understand how IntraLASIK vision correction surgery works.